Raker and Trayser developed by ETT Industries | electricmotorcycles.news | It's time. ETT Industries, specialists in electric vehicles, is excited to announce the global launch of RAKER and TRAYSER, industry-leading electric bikes set to revolutionise transport in the urban environment. 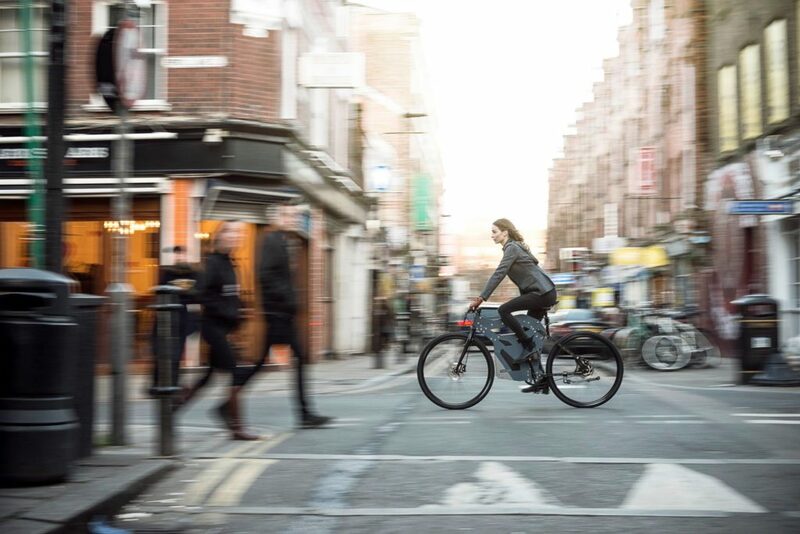 Designed to provide freedom and excitement to the urban commuter, the eye-catching bikes are now available and will be shipping to customers within 90 days. Originally founded in New Zealand in 2012, ETT Industries is a UK company that is dedicated to making electric personal transportation solutions for the modern urban lifestyle. With a background in Automotive and Race car design, we feel that our products offer form and function that surpasses expectations. Our offices span three continents, offering products that are high quality, affordable and totally unique. We feel that we respond not only to the needs of commuters for highly efficient transport solutions, but also for desirable and exhilarating statements of your individual identity. RAKER and TRAYSER are unequalled in design, constructed with a patented monocoque frame – the same concept used for F1 cars, but applied in a way previously unseen in bike design. The result is an exceptional future-proof look; sharp, dynamic and proportioned. Nothing else on the road looks like these bikes. Both have won prestigious IF Design Awards. CEO and Founder of ETT Industries, New Zealander, Jay Wen, gained his Masters in Automotive Design in Milan and honed his skills in automotive and transportation design with brands including Peugeot and Citroen. 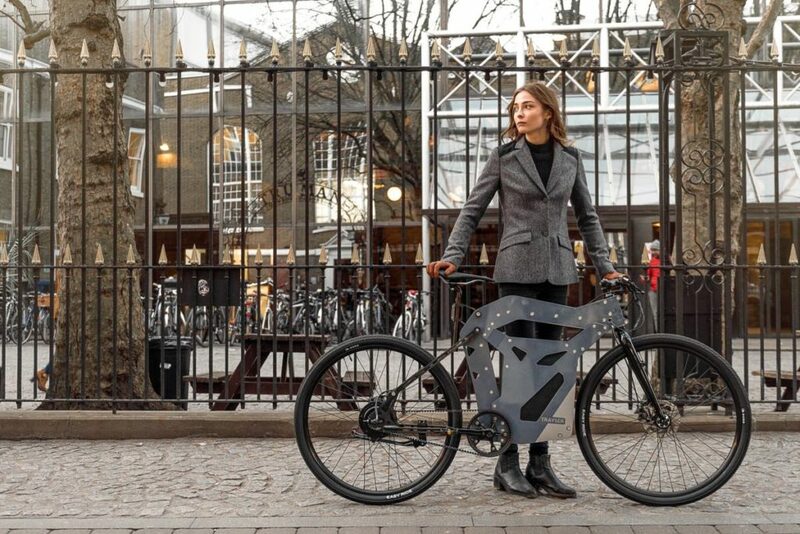 ETT now has offices across three continents, blending highly adept transport design and technology to meet the growing demand for eBikes across the globe, with its own rebellious twist. Created for those wanting to stand out, RAKER appeals to leaders and trendsetters; those looking to travel with attitude; the adventurers and stylish amongst us. Perfect for the urban rider, the simplicity of RAKER’s design delivers unparalleled reliability. 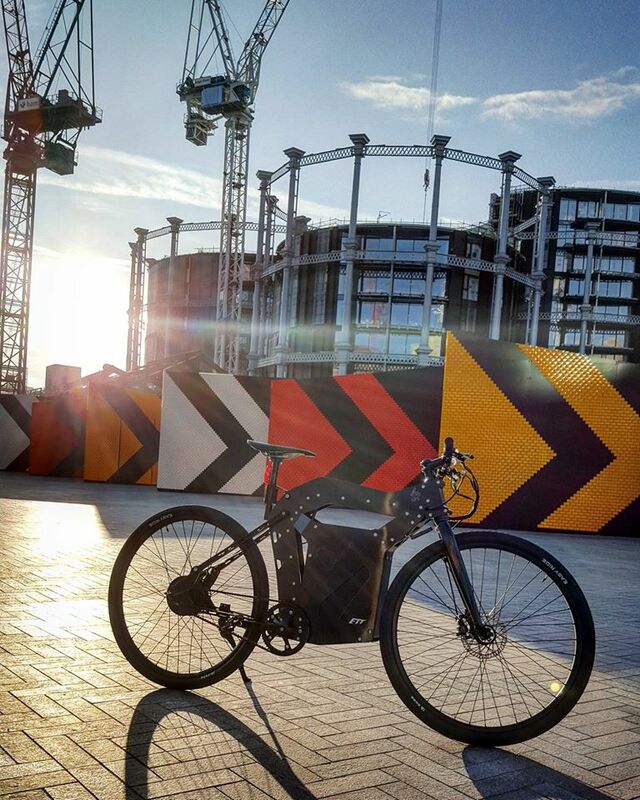 Electrically powered, using a standard plug socket at the home or office a single five hour charge powers the bike to a range of at least 70 miles, making the journey cleaner, quieter and cheaper, while providing a true sense of escape to an otherwise claustrophobic urban environment. With speeds up to 28mph, RAKER offers an ideal mental and physical escape in the concrete jungle, energising the driver through its smooth engine, near-silent powertrain. Meeting friends across town, commuting to work, or simply going for a ride to forget life’s worries, RAKER becomes a real pleasure of the day. With the commuter in mind, TRAYSER, an electrically assisted pedal cycle [EPAC], shares more than just its frame concept with its bigger brother; it too strives to offer urban freedom and excitement, but at a less extreme pace. Its angular, nimble form begs to be peddled; sharing the load with its rider and bringing ease, comfort and enjoyment to daily travels. Instantly recognisable, TRAYSER’s profile stands out from the crowd. Sharp, dynamic and wonderfully proportioned, an eBike has never been so desirable, or as fun. With only a three hour charge, TRAYSER has an amazing 90 mile range, a true enabler of freedom injecting energy into every journey, both in and out of the urban environment. In the spirit of being a true human-electric hybrid vehicle, the more energy put into the pedals, the further the range on a single charge. 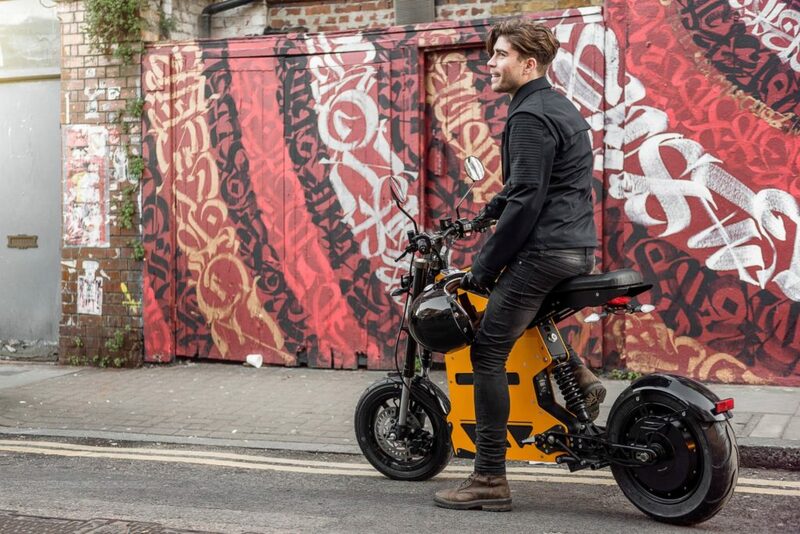 With minimal effort, the bike’s electric motor can power the rider up to 15 mph; perfect for rebelling against the turmoil of city traffic, bringing happiness and freedom in equal measures. With eBike sales increasing significantly year on year and the ‘Tour de France effect’ in full flow, TRAYSER is the antithesis of the dull beige sweeping the industry. With an entirely unique design and unparalleled customisation capabilities, TRAYSER creates smiles with every ride. Unique to the ETT range, is the personalisation brought by ETT’s wide range of 3D printed accessories, allowing customers to create their own rules. ETT will offer 3D printable products available on www.shapeways.com, the largest marketplace for 3D printing in the world. The range of accessories is vast, including cup holders, mounts, storage compartments and much more, which will be added to every month. Customers will be able to order parts with a single click and have them delivered directly to their home. ETT also provides spare parts that can be 3D printed at home such as additional accessories, upgrades and fitments. 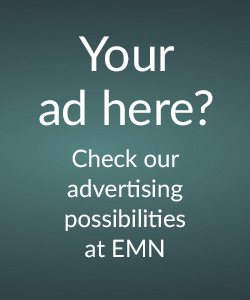 Many will be provided free of charge, to download directly from ETT’s website. ETT seeks to foster a community of owners and fans, encouraging customers to design parts for their bikes and share those designs (including detailed drawings, measurements and schematics) amongst the community. Anything is possible and the power is in the customers’ hands. This isn’t crowdsourcing; it’s an on-demand future factory where expression and a desire to create are welcomed and encouraged. 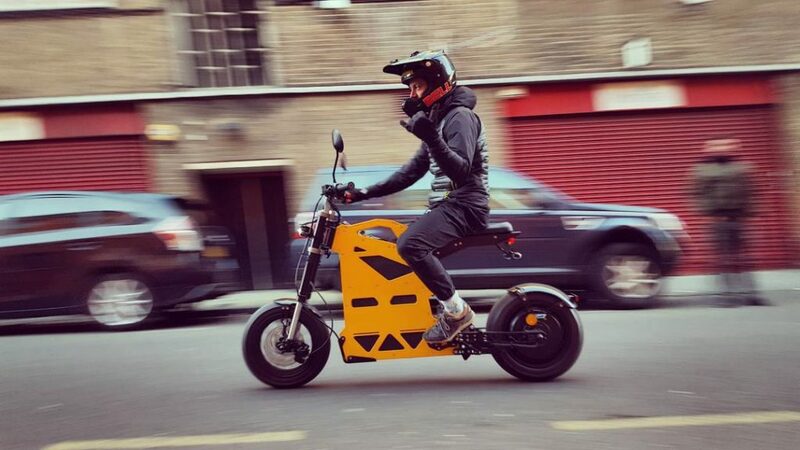 Originally founded in New Zealand in 2012, ETT Industries is a UK company that is dedicated to making electric personal transportation solutions for the modern urban lifestyle. The result of an international team, their efforts have culminated in their first product launch in the UK market. ETT’s offices span three continents, offering products that are high quality, affordable and totally unique. They respond not only to the needs of urban commuters as highly efficient transport solutions but also as desirable and exhilarating statements of your individual identity with unparalleled customisation capabilities. New Zealander CEO and Founder, Jay Wen, has championed innovative designs his whole life, studying Transportation Design in Auckland and gaining his Masters in Automotive Design in Milan. Jay has also received worldwide acclaim in the global Michelin Design Challenge competition and has previously won the Car Design News Annual Design Contest. Jay’s industrial knowledge in automotive stems from his experiences working for blue chip companies such as Peugeot and Citroen, and led Jay to create ETT Industries; a company where concept was not a dream, but a possible reality. ETT rebels against conservative concepts and makes future design and transport technology accessible today. RAKER is legally classified as a light electric motorcycle under EU Type Approval L1E. This class limits it, by law, to a maximum speed of 28mph and a motor of 4000W or less. This class requires RAKER, by law, to be registered with the DVLA, to display a licence plate, for the rider to be insured and to wear a DOT approved helmet at all times. A minimum licence consisting of a CBT is required to ride RAKER. TRAYSER is legally classified as an Electric Pedal Assisted Cycle (EPAC) under EU Directive 2002/24/EC, and conform to EN 15194 specifications. This class limits it, by law, to a maximum speed of 15.5mph and a motor of 250W or less. This class requires TRAYSER, by law, to only be powered while the rider is actively peddling, though requires no registration, insurance, licence or helmet. ETT recommend a bicycle helmet always be worn however. RAKER (RRP £2880 +VAT, UK shipping included) and TRAYSER (RRP £1990 +VAT, UK shipping included) are now available to pre-order at www.ettindustries.com. Shipping within 90 days.